Pat Ferrucci started watching Survivor when episode two of Borneo first aired. He's seen every episode since. Besides recapping here, he'll be live-tweeting this season from the Mountain Time Zone. Why? Because nobody cares about the Mountain Time Zone except when they want to ski. His column, "Well, in theory..." has run here at the True Dork Times since 2014, when he first wrote about Season 31, Survivor: Cambodia - Second Chance. Episode 8: The cost of inflexibility: Did Devens just get sunk? Episode 7: It's time for the semi-annual (post-) merge Power Rankings! This one is all about power, as Pat takes a mid-season sabbatical to re-rank the remaining dozen (plus four) Edge of Extinction players and their likelihood of victory: Likely, Possible, and Unlikely (no win is impossible at this point). Pat hits pause on the theory this week, to present a new, emerging hypothesis: Is Edge of Extinction the worst Survivor season? Pat takes a look at the concept of stacking — a form of stereotyping, especially in sports — as it applies to Survivor. Specifically, in the Manu tribe's unsupported assumptions in selecting some of its 'weaker' players. Dipping into his communication theory background, Pat looks at the cognitive process of stereotyping, and asks whether that played a factor in Reem's semi-exit in the premiere of Survivor: Edge of Extinction. As is his custom, Pat has restricted his predictions exclusively to CBS bio-related information, and has a forecast for Extinction at the ready. Read on to discover whose chances to win he sees as most likely, possible, unlikely or impossible. With six players remaining, three True Dork Times writers (Pat Ferrucci, Ryan Kaiser, and Jeff Pitman) unite to forecast the outcome of the Survivor: David vs. Goliath jury's vote on the final three. Who will win the million? And more importantly, will we out-predict Survivor scribes from other sites? As the season finale looms, and the winner's landscape now lacks Christian's Goliath presence, Pat tries to discern which of the six David vs. Goliath contestants remaining are the frontrunners to win, might have a chance, or have no chance. Pat finds similarities between Gabby's big (attempted) move and the concept of image restoration theory, and finds it applies generally to the recent emphasis on making Big Moves, not just in Survivor: David vs. Goliath. Pat looks at the academic concept of interpersonal trust, and how it applies in Survivor, particularly as both a currency and a weapon, as seen in Episodes 10 and 11 of Survivor: David vs. Goliath. Pat looks at the degree to which social identity theory and priming theory explain the contestants' reversion to original tribal lines in the dramatic Tribal Council double-idol play in Episode 8 of Survivor: David vs. Goliath. As Angelina's merge power play backfires, Pat looks to Robert K. Merton's theory of cumulative advantage (a.k.a. the Matthew Effect) to explain her overreach, and the conflict between short-term and long-term success in Survivor. Episode 6: The annual Merge-time Power Rankings! With the merge upon us, Pat takes a break from the theory, and (re-)ranks the remaining 13 contestants in ascending order of chances to win, while roughly sorting into groups of impossible, unlikely, possible, and likely winners. Pat applies Darwin's theory of evolution to Survivor strategy, and questions the inverse correlation between pre-merge swaps and survival of the goats. Plus a look at who else benefits from the upcoming swap. Pat explains how Talcott Parsons's social systems theory relates to the key strategic decision in Episode 2 of Survivor: David vs. Goliath - Lyrsa and Elizabeth's targeting of Jessica instead of Carl. The True Dork Times writers assemble once more to project the jury votes, while doing battle with scribes from other Survivor sites: InsideSurvivor, A Tribe of One, Purple Rock Podcast, and the RHAP bloggers. Who can boast the most votes noted for Ghost Island? Episode 13: Who still has a chance to actually win? With just the finale remaining, Pat asks how Ghost Island ranks as a Survivor season, and who among the remaining players is most likely to win. Pat looks to Expected Utility theory to try to decipher Laurel's big decision in Episode 12 of Ghost Island - a decision that came out, once again, to result in not making a move. Pat looks askance at the lackluster move-making thus far in the Ghost Island post-merge, and argues that several strategists' hesitance to change the game can be explained by the theory of cognitive dissonance. In analyzing the possibility of Big Moves actually taking place, Pat talks about the Elaboration Likelihood Model, and the central and peripheral routes to attitude change in the brain, and how this applies to Survivor. Episode 9: What the heck was Angela trying to do? Pat notes Angela's strategic and challenge-dominating breakout episode, and finds traces of agenda-setting theory in her efforts to target Michael: Not in directly calling for his ouster, but in framing the conversation around him. Pat looks at the strategic choices made following the Survivor: Ghost Island merge, and uses the concept of self-efficacy and perceived access to power to explain the decision to target Chris. Episode 7: The annual merge-time Power Rankings! With seven Ghost Island episodes in the books and the merge approaching, Pat takes a break from the theory and updates his pre-season contestant evaluations. Which player is now the most likely to win? Pat finds support for Robert Putnam's concept of different types of social capital - bonded and bridged - in Angela's big decision between James and Naviti in Episode 6 of Ghost Island. Episode 5: Oh, those disruptive puzzles! Pat returns to talk about the theory of disruptive innovation, and how it applies to Survivor: As the formats of challenges have changed, a different kind of player has emerged as a challenge threat. Will the strategy adapt? Episode 3: How do we attribute that blindside? Pat explains attribution theory, and how internal vs. external attribution comes to bear in carrying out actions that go against one's instincts, such as Libby's decision to blindside her friend, Morgan, in Episode 3 of Survivor: Ghost Island. Episodes 1-2: Don't upset the machine, OK? Pat reflects on the twin exits from Survivor: Ghost Island's promising premiere. Using Gareth Morgan's metaphor of organizations as machines, both early boots stood apart in their individuality, upset the early tribe machines, and were removed. Plus a look ahead at the remaining contestants' chances. Pre-season: Which mistake will I repeat? After Pat restricts his pre-season perusal to just their CBS bios, he ranks the contestants of Survivor: Ghost Island into tiers of win probability: Likely, Possible, Unlikely, and Impossible. Who will be the unlucky victim of his cursed winner pick? The True Dork Times writers (Ben Martell, Dan Otsuki, Pat Ferrucci, and Jeff Pitman) combine their predictive powers to forecast the voting preferences of the Heroes v. Healers v. Hustlers jurors, with an eye to predicting the winner. And, of course, beating Inside Survivor, A Tribe of One, Purple Rock Podcast, and the RHAP bloggers at the same game. Episode 13: Where does it all stand? With just five players remaining, Pat evaluates how close they may come to the million-dollar prize, as we count down to the season finale of Heroes v. Healers v. Hustlers. Pat describes self-justification theory, specifically external self-justification, evident in Survivor players who excuse their own behavior while criticizing the same actions by others. He then looks ahead and hopes to avoid similar behavior from jurors. Pat uses narrative transportation theory to explain Chrissy and Ryan's mistaken comfort in the alliance of seven, leading to its epic blindside and Lauren's new alliance's game-changing power shift in Episodes 10-11 of Heroes v. Healers v. Hustlers. Pat explains agenda-setting theory, the art of framing what to think about, but not how to think, and contrasts Chrissy and Ben's patterns of persuasion in Episode 9 of Heroes v. Healers v. Hustlers. Episode 7: Who holds the golden fleece after the merge? Pat explores the black sheep effect, and argues that by ignoring it, the majority alliance made the wrong move at the merge of Heroes v. Healers v. Hustlers. Episode 6: Who holds the power at the merge? Pat takes a one-week sabbatical from the theory in order to assess the events of Episode 6, and how they affect the remaining contestants' chances of winning Heroes v. Healers v. Hustlers. Pat examines Ryan's swing vote decision, and most Survivor gameplay, through the conflicting ethical theories of ethical egoism and utilitarianism, and how the best plays appear to be the latter while actually adhering to the former. Pat evaluates the tribal swap through the lens of group cohesion theory, and finds the new Levu tribe lacking, as seen in Episode 4 of Heroes v. Healers v. Hustlers. Pat refutes Malcolm Gladwell's outlier hypothesis, instead arguing that Robert Merton's theory of cumulative advantage applies better to Survivor, as seen in Patrick's exit from Episode 3 of Heroes v. Healers v. Hustlers. Episode 2: You're a hustler. A hustler. You are. Yes you. Pat looks at identity priming theory, and how this affects Survivor players' early tribal boot decisions, as seen in Episode 2 of Heroes v. Healers v. Hustlers. Pat focuses on a relevant facet of social identity theory, in-group/ out-group bias, to help explain why Katrina was the first person voted out in Survivor: Heroes v. Healers v. Hustlers. Then he looks at the tribes in greater depth. Pre-season: Who am I going to curse this season? 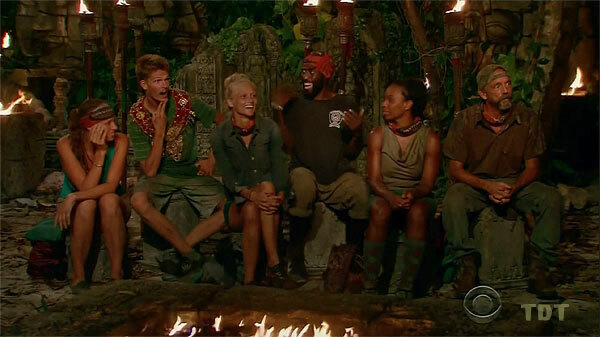 Pat Ferrucci examines the cast of Survivor: Heroes v. Healers v. Hustlers, and makes his semi-annual game-cursing winner's pick, then ranks the remaining contestants' chances. Ben Martell, Dan Otsuki, Pat Ferrucci, and Jeff Pitman come together to rank and draft fantasy teams of the contestants from Survivor: Heroes v. Healers v. Hustlers. Who will reign supreme? The True Dork Times writers (Ben, Dan, Pat, Jeff) combine their prognosticatory powers to predict the outcome of the Game Changers jury vote. And beat RHAP, Inside Survivor, and Reality Blurred, of course. Pat dispenses with the theory, looks back at this week's two boots, then takes a final look ahead, ranking the remaining six Game Changers by order of likelihood to win. Pat examines Swift Trust Theory, and whether the short-term trust established by sharing a secret Advantage is enough to build a bond in Survivor. The answer? Not in Sierra's case, apparently. Pat applies the concept of social stability to explain the (non-Andrea) majority alliance members' willingness to go along with booting Zeke, and other observations from Episode 11 of Game Changers. Pat describes how social dominance theory (SDT) applies to Survivor, specifically Sarah's perception that she was at the bottom of the six-person alliance's hierarchy, and how it induced her move to change the game. To examine this week's two boots, Pat employs rational choice theory, arguing that Hali was the rational choice for the first post-merge boot, not because she was a threat, but because she wasn't. Pat eschews theory this week, in favor of examining the impact of Zeke's outing (and Varner's ouster) in Ep.7 of Game Changers, and looking ahead at the contestants' relative winning chances, heading into the merge. Pat dips into Drive Theory, and argues that in order to please the audience, returnees are driven to target former winners, as seen in Sandra's ouster in Episode 6 ("Vote Early, Vote Often") of Survivor: Game Changers. Pat compares JT's seasons, then delves into Social Comparison theory, in order to explain JT's curious conclusion that he was in a better position than Michaela in Episode 5 ('Dirty Deed') of Survivor: Game Changers. Pat applies the theory of disruptive innovation to the Tribal Council twist (and gift idol) in Episode 4 ('The Tables Have Turned') of Survivor: Game Changers, and wonders what industry will be toppled, besides Malcolm's. 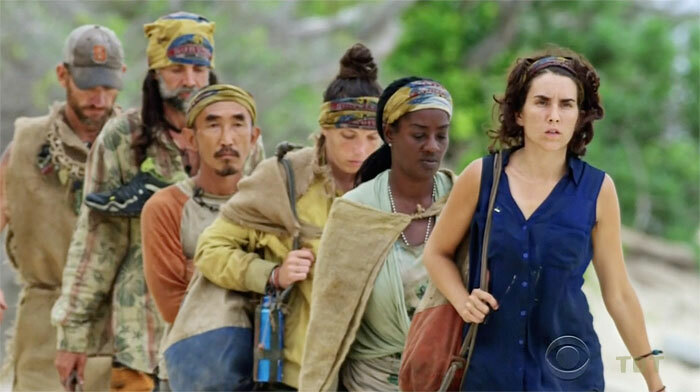 Pat looks in depth at organization theory, and how social norms affect Survivor performance after a tribe swap, as in Episode 3 ("Survivor Jackpot") of Survivor: Game Changers. 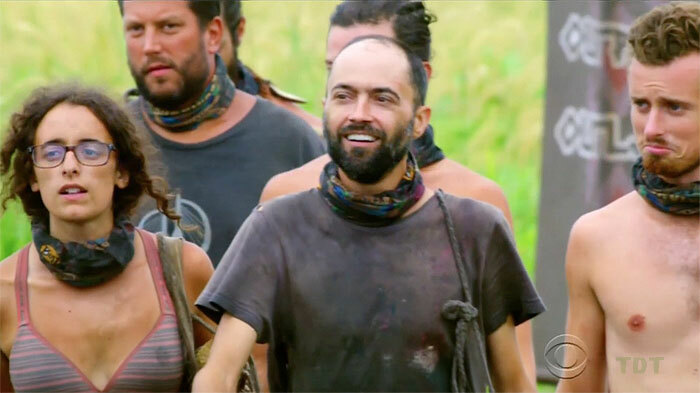 Pat looks again at priming theory, and how the host's repetition of the theme is designed to inspire and drive the gameplay on Survivor, this time with Game Changers. Cast: And the winner? I don't know? Pat tries (again) to pick a winner, after sorting the Game Changers contestants into groups of people whose winning chances are: Likely, Possible, Unlikely, and Impossible. Jeff Pitman, Andy Baker, and Pat Ferrucci join the Survivor Blogoverse prediction game, facing off against their compatriots at Inside Survivor, Reality Blurred, and the RHAP blogs in trying to forecast the jury votes of Millennials vs. Gen X. Episode 13: Who holds the most finale power? As the finale approaches, Pat Ferrucci makes a final assessment of the season as a whole (entertaining!) and the remaining six's chances of winning Millennials vs. Gen X.
Pat Ferrucci takes a look into trophy culture, and how the self-esteem movement may have affected Will's quest for (recognition of) a Big Move™ in Episode 12 of Millennials vs. Gen X.
Pat Ferrucci looks at agenda-setting theory, and how the Survivors' focus on the David-vs.-Zeke clash prevented them from steering away from the rock-drawing abyss in Episodes 10 & 11 of Millennials vs. Gen X.
Pat Ferrucci takes a one-week break from the theory to predict which of the remaining dozen castaways now possess the greatest chances to win Millennials vs. Gen X.
Pat Ferrucci looks at the functional theory of leadership, and argues that Michaela's boot stemmed from her failing to provide the style of leadership Jay and Will wanted, in Episode 7 of Millennials vs. Gen X.
Pat Ferrucci says seletive exposure theory explains how Figgy chose to see only the good aspects of her game, ignoring the glaring downsides, which led to her boot in Episode 6 of Millennials vs. Gen X.
Pat Ferrucci argues that David's moves have been successful because his disruptive innovation has shaken up the stolid Gen X tribe, putting them off their games, and may continue working going forward. Pat Ferrucci ponders cognitive dissonance, and posits that it explains Jessica's inability to trust Ken's otherwise credible information that Lucy was targeting her, leading to David's idol play. Pat Ferrucci looks at framing theory, with respect to the manner in which Paul presented his alliance's future plans to Jessica, and how it failed. Pat returns to the metaphor of the organization as organism, and looks at how Michelle expertly and subtly guided the group of Millennials. Pat Ferrucci looks at Priming Theory, such as the outsized role that Probst and production, in emphasizing the season theme, influence the contestants' behavior. And then revisits his rankings. Pre-season: And the winner? I don't know? Pat ranks the new Millennials vs. Gen X contestants into four categories: "Frontrunners"; "Eh, Maybe"; "I'm Thinking No" and the ill-fated "No Chance in Hell." And then he eventually picks out a potential winner. 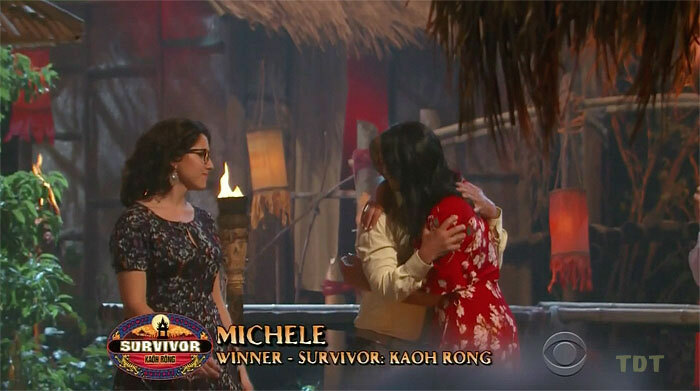 Pat Ferrucci looks back, again with confirmation bias, at the disappointing season finale of Survivor: Kaoh Rong. Jeff Pitman and Pat Ferrucci team up in an attempt to predict the likely votes of the Survivor: Kaoh Rong jury members. Pat looks at the four remaining players, tries to dispense with confirmation bias, and maps out their best path to the million-dollar prize of Survivor: Kaoh Rong. To look at the curious fractures in the final five's alliance in Episode 12 of Kaoh Rong, Pat turns to organization as organisms theory, and finds that Tai's attempted move upset the organism. Pat looks again to agenda-setting theory, and finds a disparity between Michele's talk about her own game and the coveted Big Moves™ that juries allegedly reward, at least through Episode 11 of Kaoh Rong. Pat Ferrucci tries to find an ethical theory that supports Tai's highly conflicted decision in Episode 10 of Kaoh Rong, and comes up with consequentialism. Pat sees Debbie's downfall as a lack of self-regulation on Cydney and Aubry's part, and proposes an alternative path that might have saved Debbie, on Episode 9 of Kaoh Rong. Pat looks at narrative transportation theory, to explain the disconnect between Nick's self-aggrandizing perception of his own gameplay and the playing that actually happened on Episode 8 of Kaoh Rong. As the Kaoh Rong merge arrives then leaves without a Tribal Council, Pat takes a spring break from theories, and assesses the relative power ranks of the remaining players. Ep.6: Ironically, Peter is not so attractive? Using the reward theory of attraction, Pat finds that Peter's self-described attractiveness provided few rewards for Aubry, contributing to her decision to vote him out of Kaoh Rong this week. Pat uses social exchange theory as a means to explain the poor returns Anna received from her post-swap attempts to make Tai appear an idol threat to her new tribemates in Ep.5 of Kaoh Rong. Pat wonders if ego depletion theory explains Brawn's inability to win challenges through Ep.4 of Kaoh Rong, and how things might have played out differently if they'd booted Alecia in the first episode. Pat finds that Liz and Peter's self-perception of being super-smart doomed their interactions with their fellow Brains and Liz's chances in Ep.3 of Kaoh Rong. 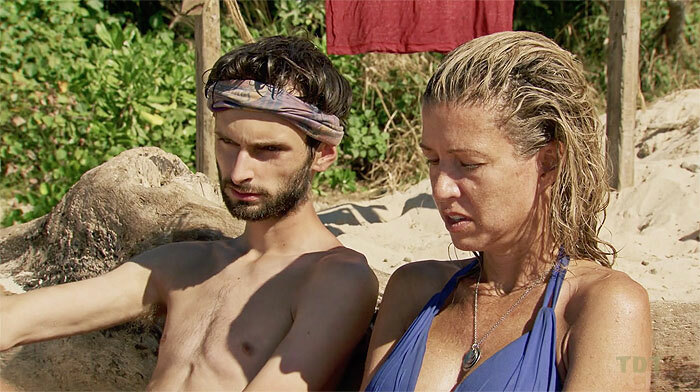 Pat sees cognitive dissonance as a possible reason for Jennifer's tumultuous Tribal Council performance on the second episode of Kaoh Rong. Pat uses Social Identity Theory (SIT) and priming theory to explain why the contestants so quickly embraced their assigned tribal identities in the Kaoh Rong premiere. "Meet the Cast" along with Pat, as he watches the newbie players' introductory video, reads their bios, then tries to evaluate how they'll far during the Kaoh Rong season. ...figuratively and literally, of Survivor. After praising the finale, Pat looks back at his Survivor: Cambodia pre-season predictions, to see how they planned out. Theory of planned behavior, which is Pat's best fit for explaining why Jeremy, Tasha, Kimmi, and Spencer booted Abi, rather than dragging her to the finals of Survivor: Cambodia. Spiral of silence theory, and how it explains why nobody seems to pointing out the obvious: that Joe can probably never win Survivor. Episode 11: Construction junction, how do you function? A double dose of Thanksgiving Survivor leads Pat to ponder social constructionism and the rise of the voting bloc in Second Chance. Episode 9: Did Stephen just open or close the gate to winning? Pat applies gatekeeping theory to Stephen's Big Move™ and examines the various influences that drove him to act during Episode 9 of Cambodia - Second Chance. Pat talks about priming theory, and how Jeff Probst has primed both players and audience to interpret Big Moves™ as winning strategy, even when the actual evidence of that is at best lacking. Pat looks at framing theory, particularly how Kass, Ciera, Savage, and Tasha framed their stories to achieve their desired results in the Cambodia merge episode. Pat looks at Edgar Schein's theory of organizational culture, particularly as it applies to Andrew Savage's leading (or not) of the new Ta Keo tribe. Pat examines how differing ethical viewpoints and theories (such as utilitarianism in Kimmi's case, or ethical egoism in Monica's) can work for or against a player in the context of Survivor. Pat uses cultivation theory in an attempt to explain the origins of Abi-Maria's Survivor worldview (watching Survivor makes her think everyone's out to get her). Pat explains how Tasha's attempt to label Varner a rat (thereby shifting the target away from Savage and herself) serves as an example of agenda-setting theory. Pat sees evidence of social learning theory in Episode 2's strategic moves by Terry (also Spencer), and hangs the teacher tag squarely on Jeff Varner. Pat applies Social Identity Theory to Episode 1 of Second Chance, and finds it fits the Ta Keo tribe's divisions (and Varner's questioning where he falls within those divisions) quite neatly. Pat takes a contestant-by-contestant look at the cast of Survivor: Cambodia - Second Chance, and their prospects for winning.